It can be difficult to get the attention of local media and business journalists, but this type of “earned media” can be more helpful to your business than traditional advertising and marketing techniques. 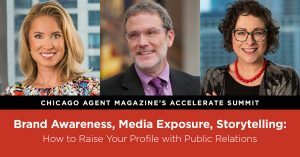 That’s why organizers of Chicago Agent magazine’s Accelerate Summit this spring added a session on how real estate professionals can do just that. The session, titled, “Brand awareness, media exposure, storytelling: How to raise your profile with public relations” will feature Emily Johnson, president of public relations firm Taylor Johnson, a company that works with many in the real estate, mortgage and development industries; Dennis Rodkin, real estate reporter for Crain’s Chicago Business; and Meg White, senior managing editor of Agent Publishing. The session will focus on tips for how agents and brokers can pitch their stories and expertise as a source to be featured in blogs, newspapers, local news programs and other venues. The session is the first of many to be announced in the coming weeks for the Accelerate Summit, which will take place March 5 at Chicago’s Merchandise Mart. 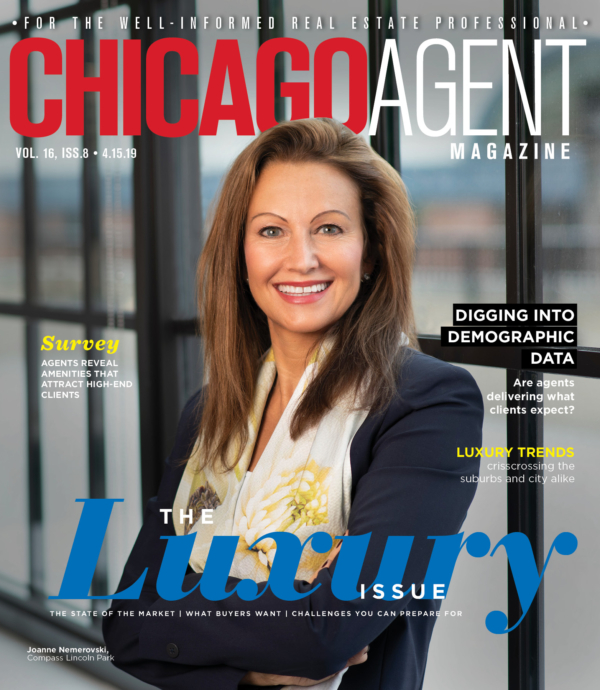 The magazine also announced several new sponsors for the event; Engel & Völkers, Greater Illinois Title, Wintrust Mortgage and Zillow will be joining Chase, Guaranteed Rate and Blueleaf as event sponsors.